WHO: Teachers looking to take their worksheets to the next level. HOW: Teachers create an account at wizer.me, create an assignment, and assign to their class. Options to assign include Google Classroom or direct link. Students will need accounts as well. Each assignment is given a unique pin number and teachers also have the option to share the assignment globally. After completing an assignment, students can receive immediate feedback if the teacher has set it up. Otherwise, Wizer.me will grade some items for the teacher automatically, then when the teacher finishes the assessment, they have the option to send student feedback. WHEN: Teachers can use wizer.me as an opening/closing class activity, or as homework. 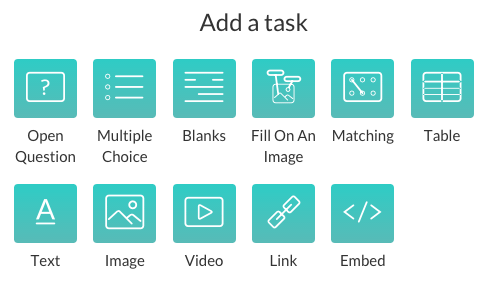 When creating an account, the system does not ask if the user is a student or a teacher, so the students are able to create these digital worksheets as well. This is great for students to show mastery of content.